Vasquez was born in Bogotà in 1973. In 2011, he was the unanimous winner of the Alfaguara – one of the most prestigious prizes in Spain. He studied Latin American literature at the Sorbonne in Paris and currently lives in Bogotà. His previous novels have been translated into fourteen different languages. In Italy, Ponte alle Grazie has published Storia segreta del Costaguana (2008) and Gli informatori (2009). Juan Gabriel Vasquez is among the most significant living South American novelists. Vásquez’s new novel, The Sound of Things Falling, is a story of conspiracies and assassinations, of people confronting mysteries that, if solved, might help them repair their shattered lives. It’s noir, raised to the level of art. It’s a page-turner, but it’s also a profound meditation on fate and mortality. Vásquez’s scope is enormous, ranging from intimate human encounters to crimes that affect entire populations. He produces the most harrowing, moving UN-magical realism imaginable. He traces the connections between our ordinary, everyday lives and the forces that, if left unchallenged, control and distort and undo our lives. Which is a potent form of magic indeed. Alessandro Fo is not only a scholar and a translator of the first order, he is also a poet and a teacher. This is a devotion, an ethical responsibility not just to preserve and to cherish, but to reaffirm and reestablish that which has prompted Fo to take on this huge object of study and also to battle to the very limits to give voice to Virgil’s unattainable model. Fo has worked, and fought, to “limit the loss”. We maintain, however, that he has radiantly overcome the odds, and that his version is an authentic act of restitution to our time of the original and the universe that turned around it. And for that, we are grateful. Jennifer Egan is an American novelist and short story writer who lives in Fort Greene, Brooklyn. Egan's novel A Visit from the Goon Squad won the 2011 Pulitzer Prize for Fiction and National Book Critics Circle Award for fiction. 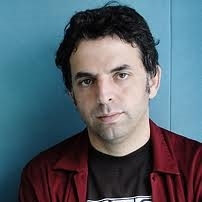 Etgar Keret was born in Tel Aviv in 1967. His books have been published in 33 languages. In 2007 Keret had won With Shira Geffen the Cannes Film Festival’s “Camera d’Or” Award and The SACD Best Director Award for Their feature film Jellyfish, In 2010 he had received the French Chevalier de l’Ordre des Arts et des Lettres (2010). Keret Teaches Hebrew Literature in Ben Gurion University. Atiq Rahimi is a French-Afghan writer and filmmaker. Jeanette Winterson, OBE, is the author of ten novels, including Oranges Are Not the Only Fruit, a globally bestselling memoir Why Be Happy When You Could Be Normal? as well as numerous short stories, essays, children's books, screenplays and journalism. Her writing has won the Whitbread Award for Best First Novel, the John Llewellyn Rhys Memorial Prize, the E. M. Forster Award and the Prix d'argent at the Cannes Film Festival.